After more than 25 years of solidarity, tens of millions of record sales, and subsequently becoming one of the biggest selling artists in Finland of all time, it is safe to say that it has been a very lucrative and interesting career for our dear and beloved Finnish love metallers HIM. 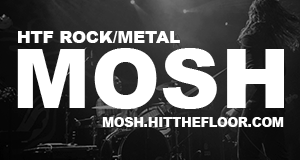 Whilst already being national heroes during the 90’s and the early 2000’s, it was not until their fourth album Love Metal in 2004, that they rose to worldwide attention and prominence. To say that they developed a rabid cult fanbase from that point onwards would be a gross understatement. But in order to continue with the review, let me allow you to tell you a quick personal homage to this most treasured of bands. Having seen them a number of times over the past decade and a half, their music was different compared to what else was going on at the time – both underground and mainstream. It was refreshing, and there was not a band like this since Type O Negative that had drawn such an equal demographic fan base, which embraced the Gothic lifestyle with all of its dark, doomy, yet unashamedly romantic qualities and subject matter. Having gone and supported them through their best points and their lowest, we finally get to the end of the road. December 2017 – the final, fond farewell from HIM. There is not really much else that can be said about the night’s performance that you do not already know. It was essentially a greatest hit’s set, that spans their glorious and illustrious career to date. Of cours, they are going to play their most incredible, rapturously received hits like ‘Buried Alive By Love’, ‘The Sacrament’, ‘Wings Of A Butterfly’, ‘Join Me In Death’, and ‘In Love And Sorrow’. But they also performed some deep cuts like ‘Stigmata Diaboli’, and also performed a selection of newer material from albums such as Venus Doom and Screamworks. Hell, they even throw in their cover of Chris Isaak‘s ‘Wicked Game’ for good measure, as well as Billy Idol‘s ‘Rebel Yell’ for their encore. Although we do feel that the non-inclusion of ‘Solitary Man’ was a slight disappointment, but hey… to quote the Rolling Stones, you can’t always get what you want! The most interesting thing about tonight is the dedicated legion of followers who have a special place in their heart for this band. The early 2000’s goths – be it the die hards with the Heartagram tattoos and the males dressing exactly like their hero Ville Valo, or the stereotypical ‘I’m going through a phase’ figures, all come out of the woodwork in unification tonight. Be it some form of cherished nostalgia, or whether it is to pay their respects to one of their dearly beloved bands, it is a night of deep celebration and joy, as opposed to a mournful send off. You see… along with birth, death is merely but one of two certainties in life. All great things must come to an end, and this is definitely the vibe and energy at the Camden Roundhouse on this fine evening. If there is anything that is absolutely certain about the night’s performance, it is that we must make the most of what we have in our lives – especially when it comes to music, and incredible bands that have given us so much over the years. 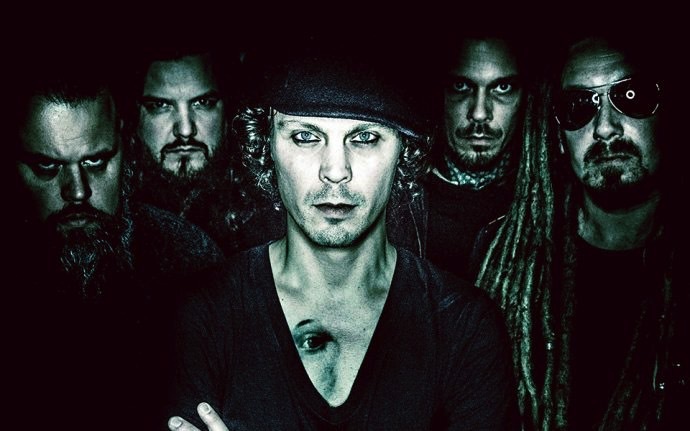 HIM gave their hearts and souls to legions of followers all over the world, and their energy resonated deeply within us to the point where we connected with Valo’s lyrics, the musical mastery from the entire band, or even found a sense of belonging within their dedicated fan base and social network. In joy and sorrow, in life or death, we will always have the imprint of the Heartagram – if not tattooed on our skin – but deep within our hearts and souls.